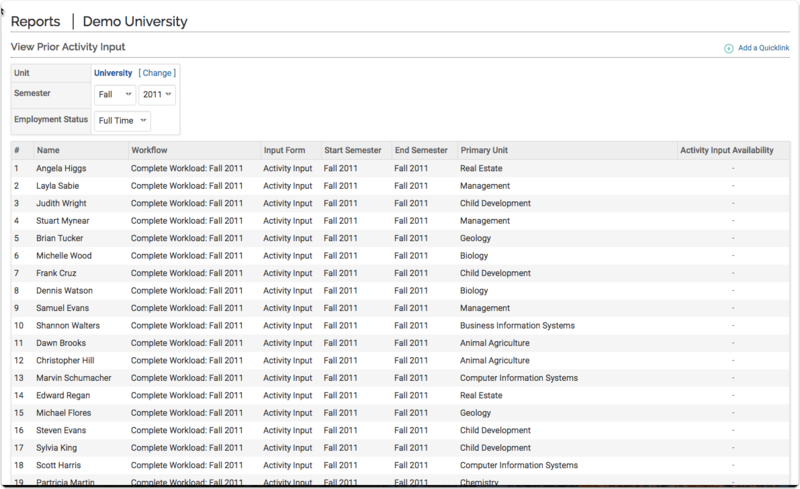 This report allows administrators with the proper permissions with the ability to view the prior activity input forms that faculty users have entered. 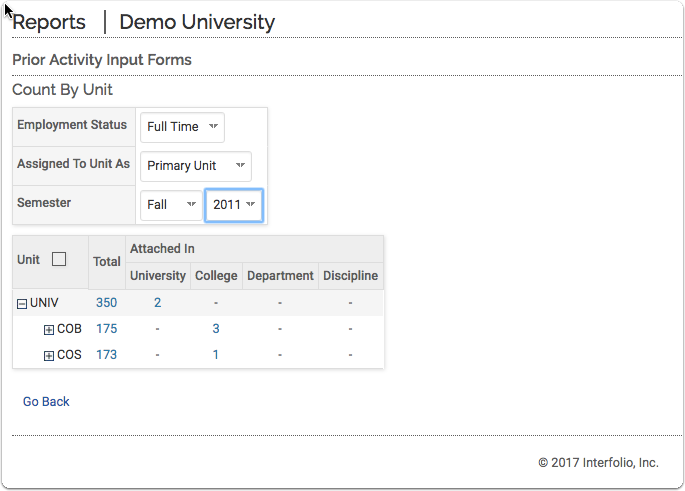 Configure the report by choosing a unit, time frame, and faculty filter. After you have a run a report, a list of the prior activity input forms will display, along with the relevant faculty member. 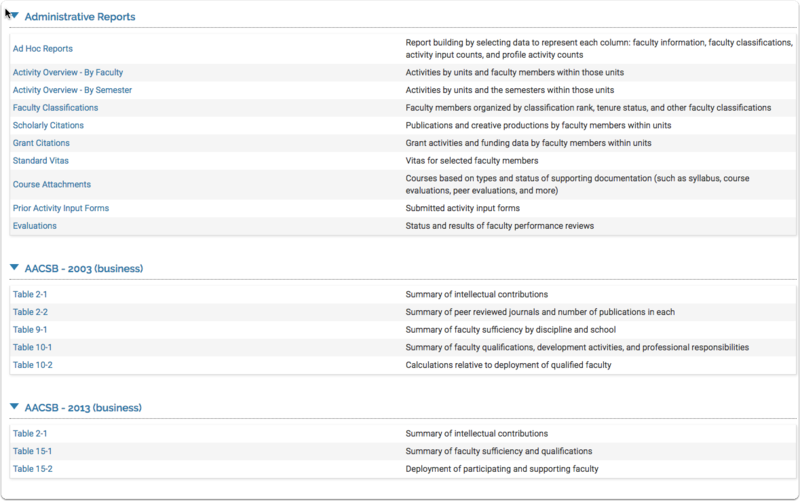 This information will help administrators know what type of activity input a particular faculty member or unit is performing.